APAAP complexes are designed for use as detection reagents in immunohistochemistry procedures.  They are used in combination with a suitable bridging antibody and appropriate visualization system. Spleen cells from immunized Balb/c mice were fused with cells of the mouse NS1 myeloma cell line. Cordell, J.L. et al. (1984) Immunoenzymatic labelling of monoclonal antibodies using immune complexes of akaline phosphatase and monoclonal anti-alkaline phosphatase (APAAP complexes). J. Histochem. Grau, V. et al. (1998) Dynamics of monocytes/macrophages and T lymphocytes in acutely rejecting rat renal allografts. Cell Tissue Res. 291: 117-26. Quenby, S. et al. (2004) Effects of low-molecular-weight and unfractionated heparin on trophoblast function. Whitworth, M.K. et al. (2007) Cervical leukocyte sub-populations in idiopathic preterm labour. J Reprod Immunol. 75: 48-55.